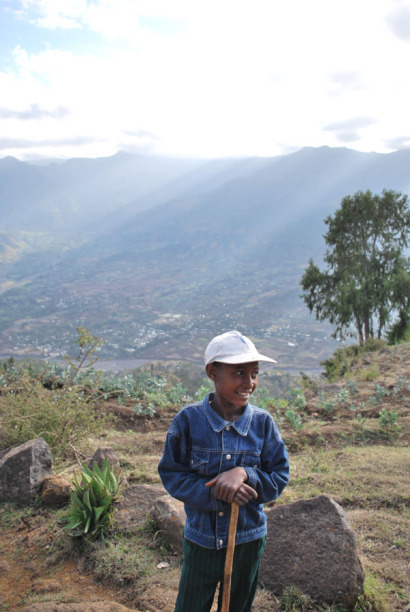 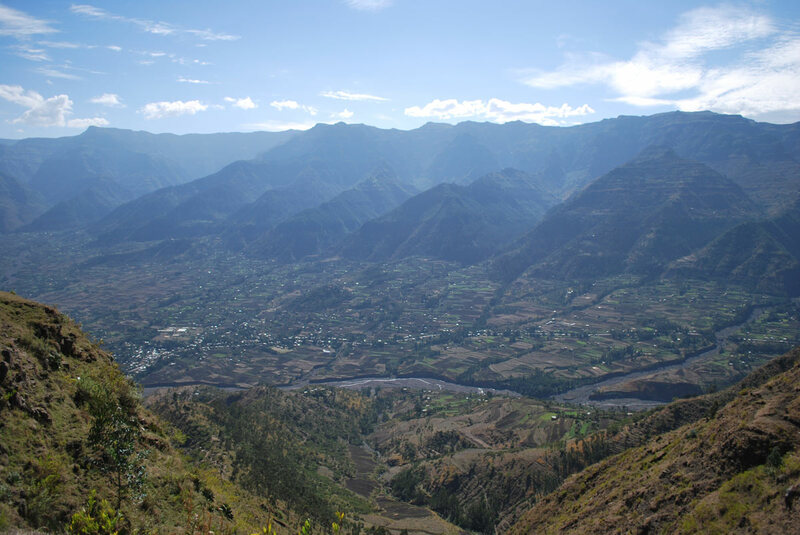 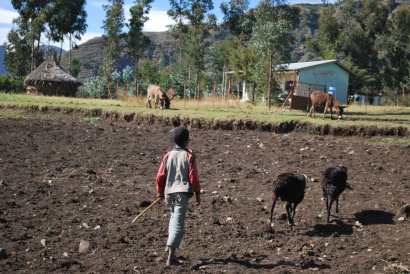 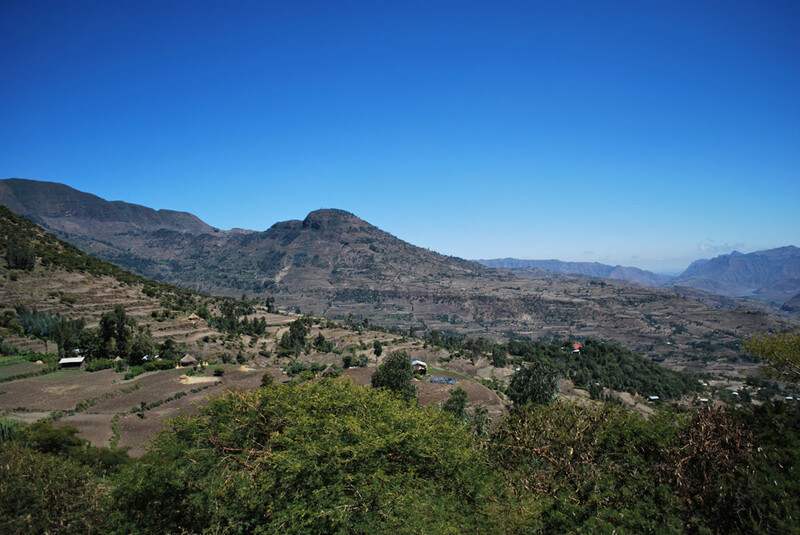 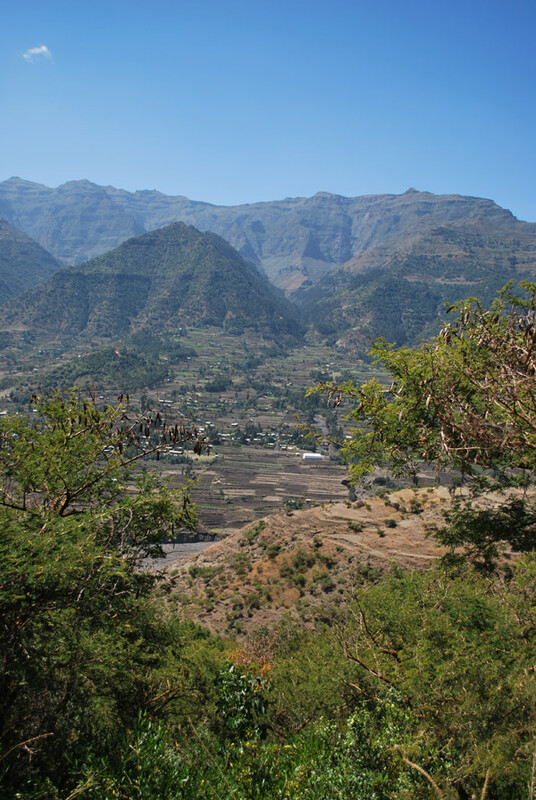 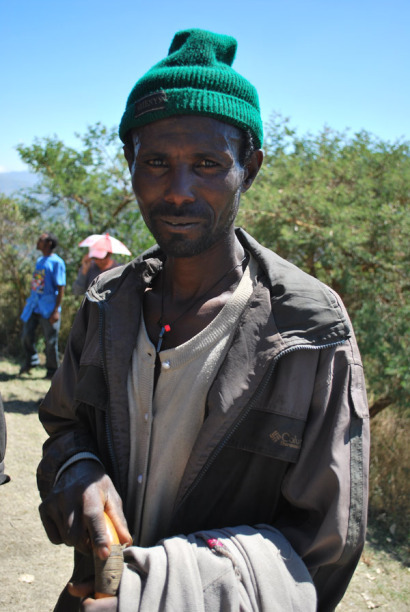 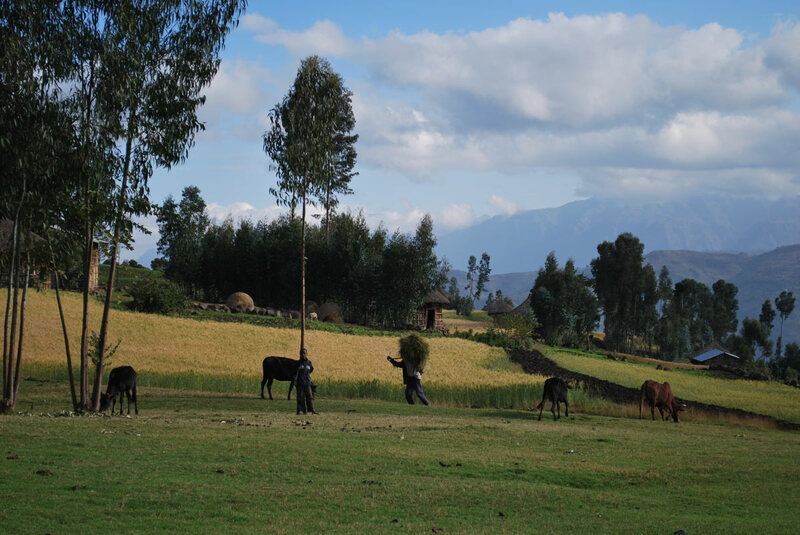 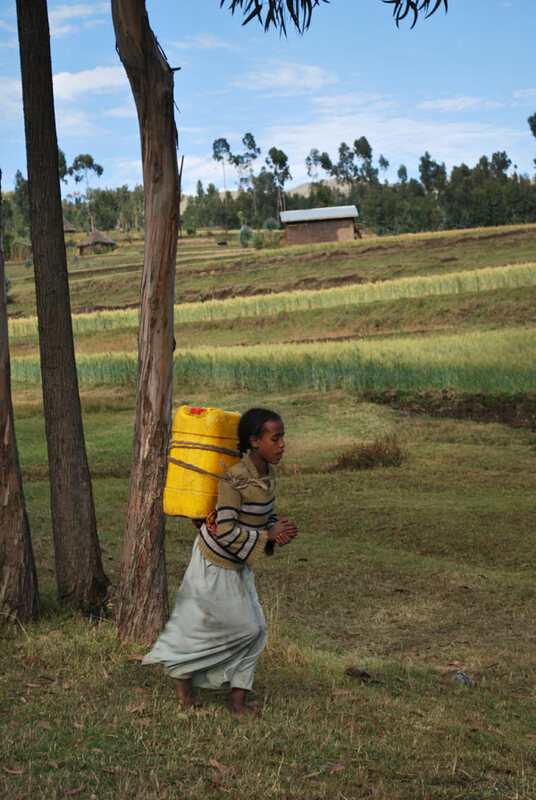 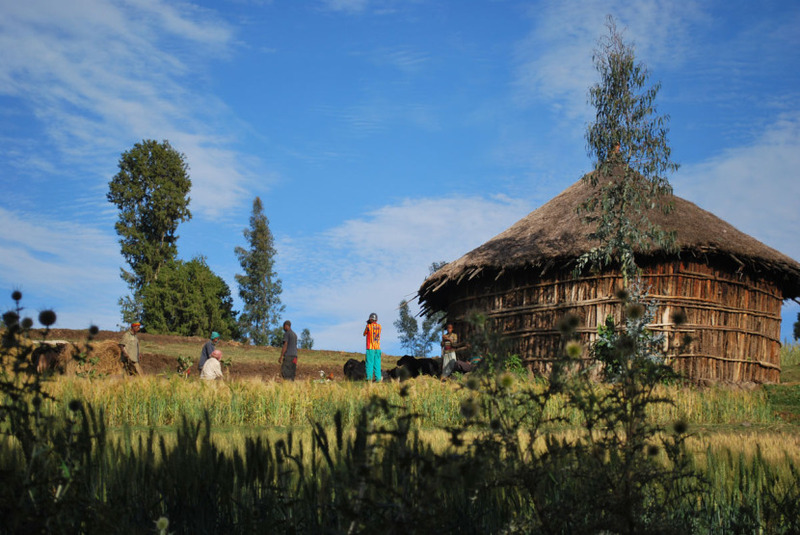 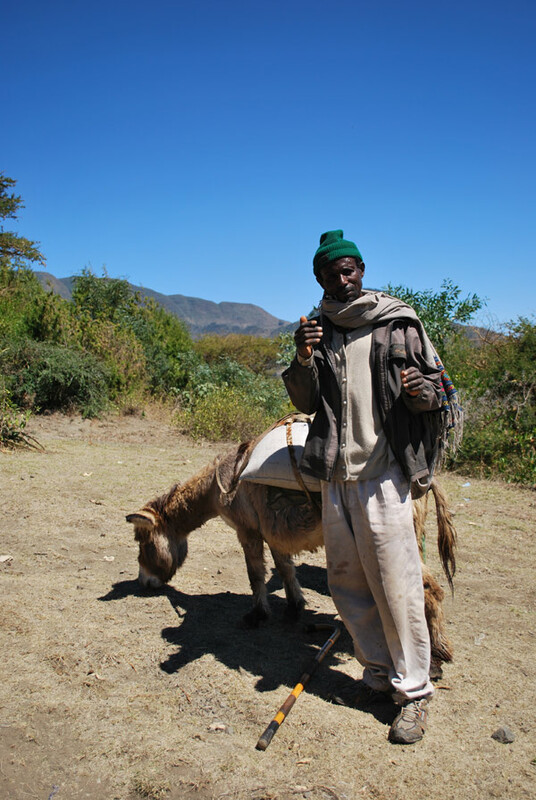 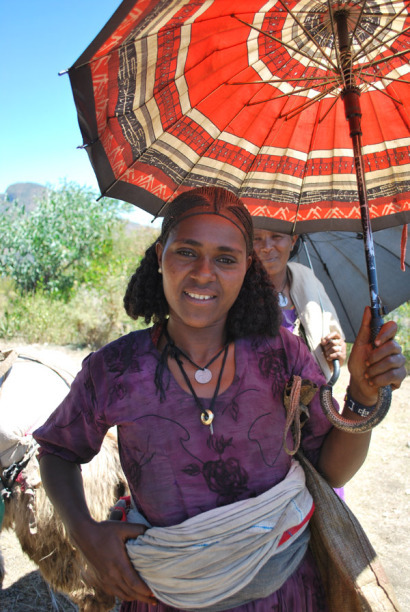 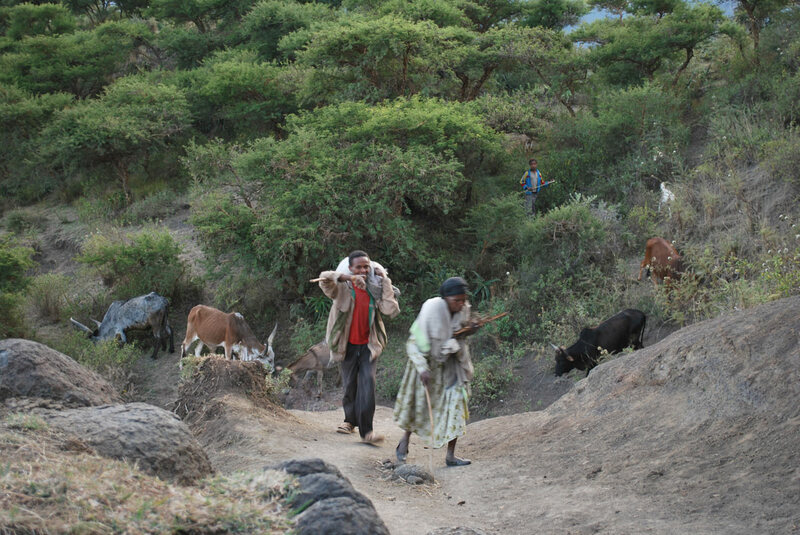 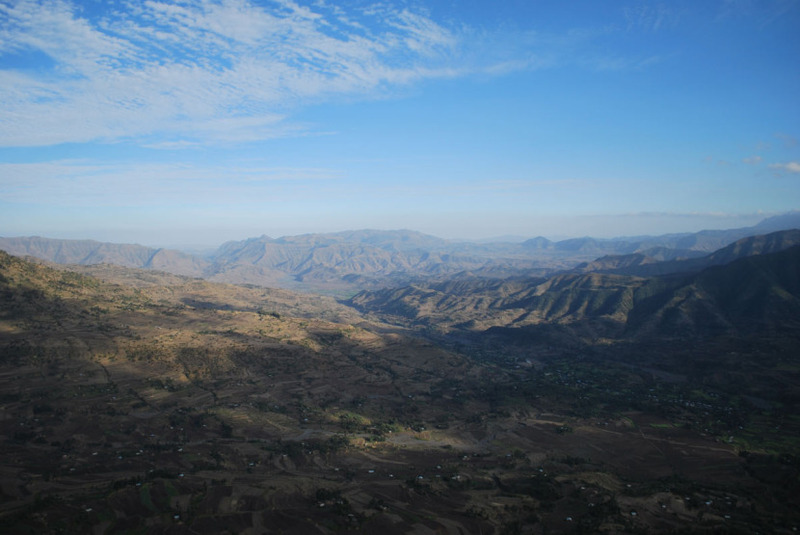 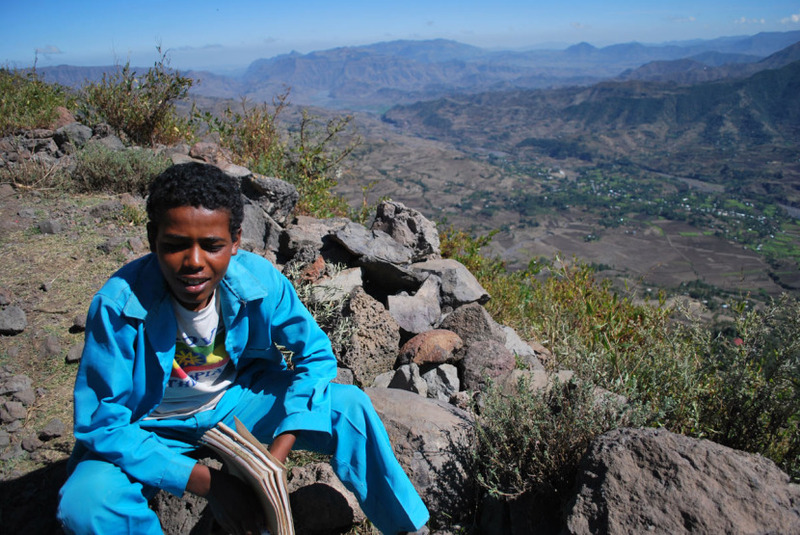 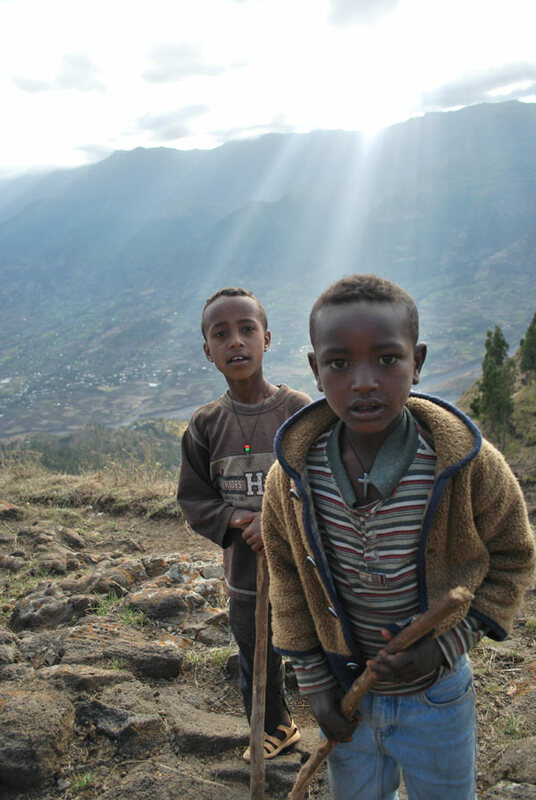 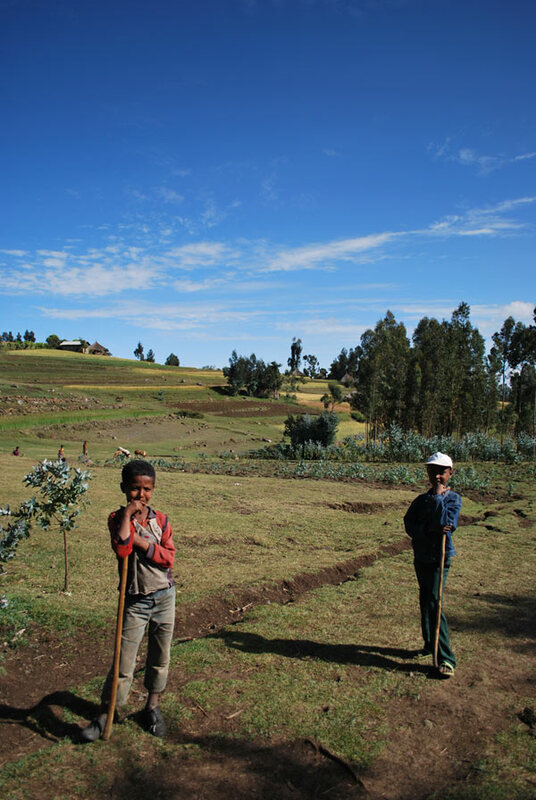 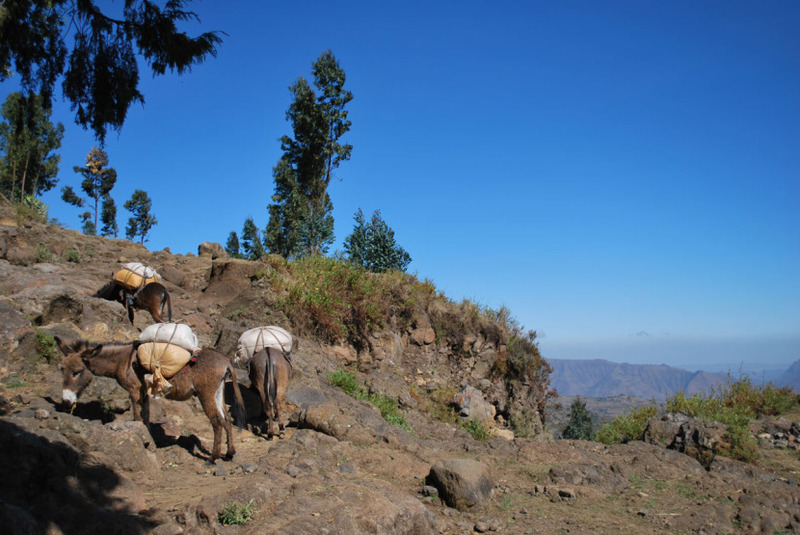 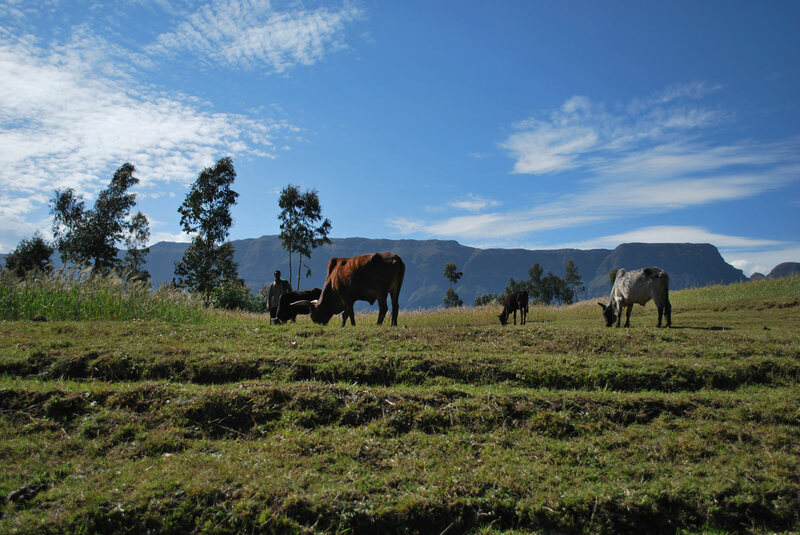 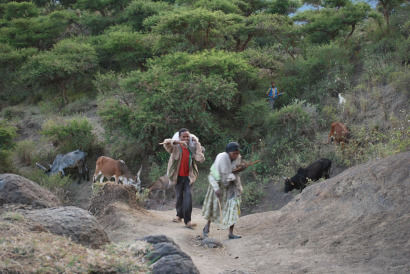 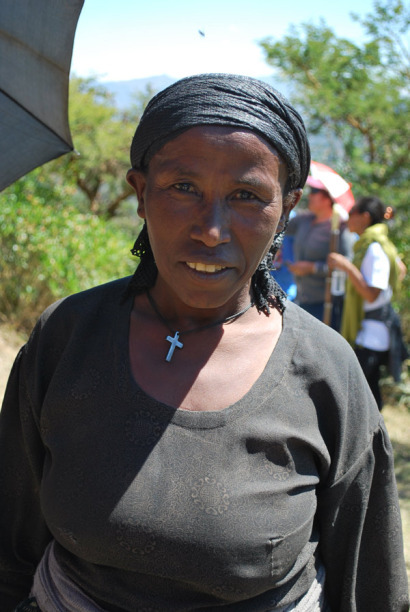 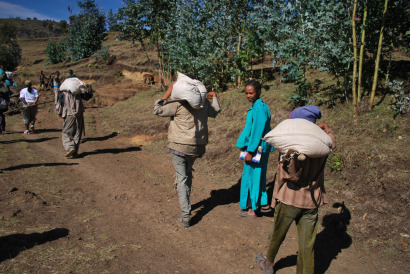 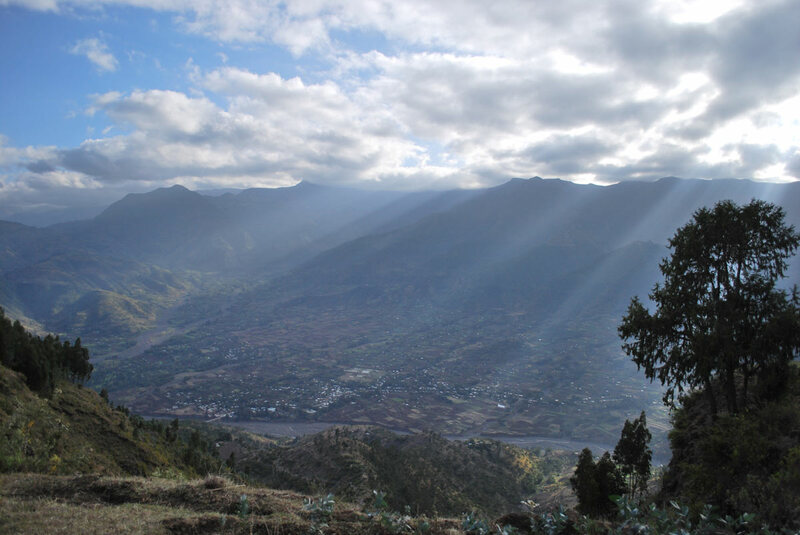 The rural mountain community of Yerah, located in the Northern Ethiopian province of Wollo is where VCDS has been focusing its efforts. Our goal has been to alleviate poverty within this community, working from the ground up to assist its members on numerous aspects of life. 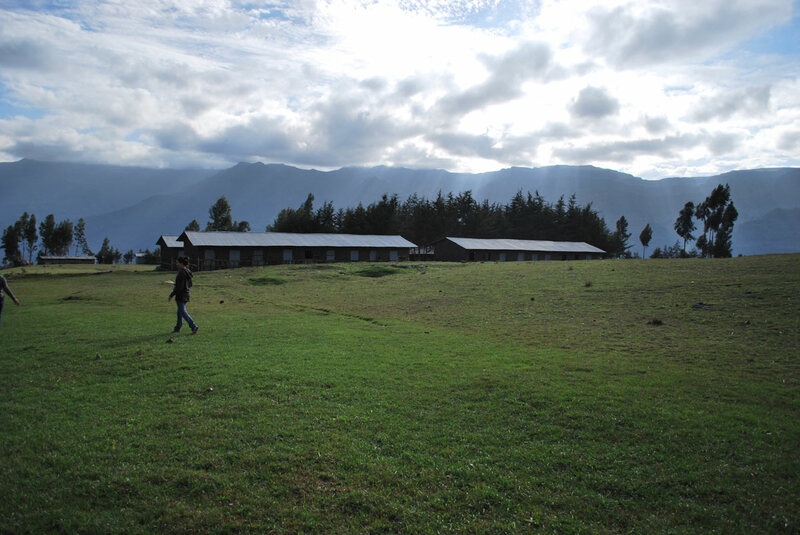 But life is not easy, in this green wonderland. 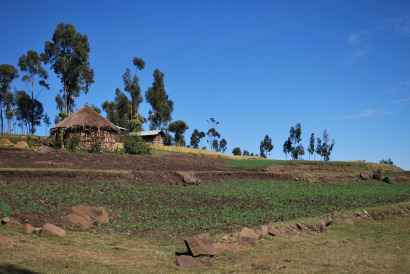 Though the soils are fertile, it is remote. 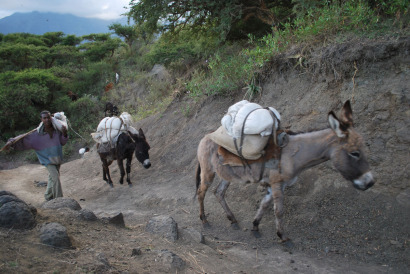 The mountain can only traversed on foot or via mule. So all goods, have to be carried making it an arduous task to say the least. 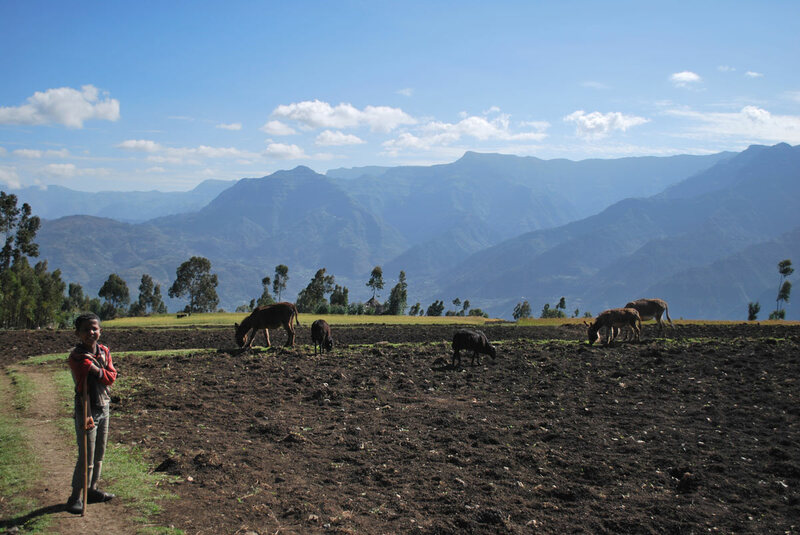 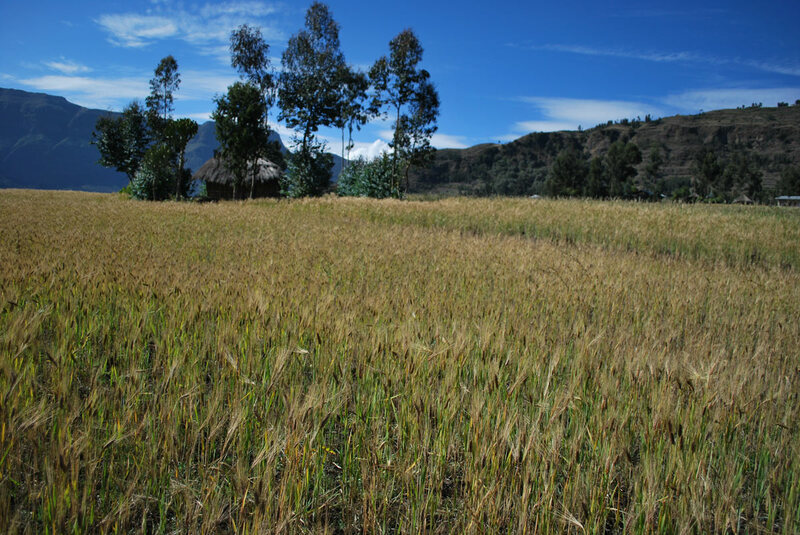 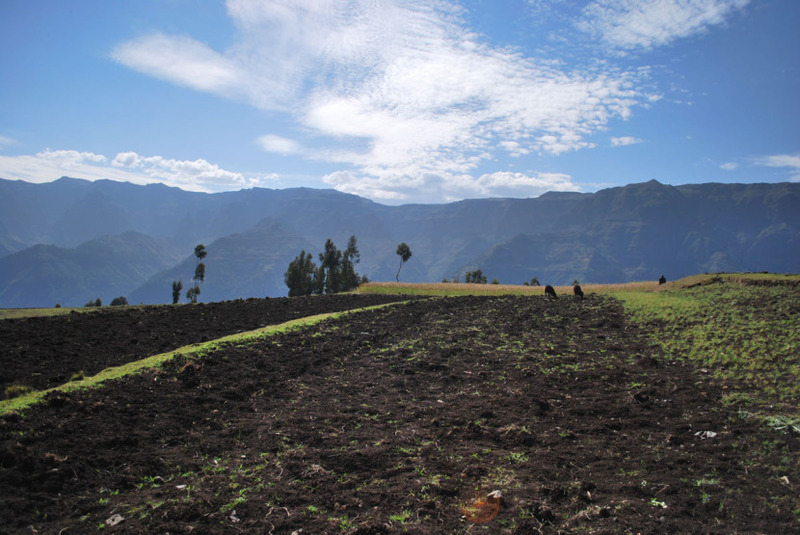 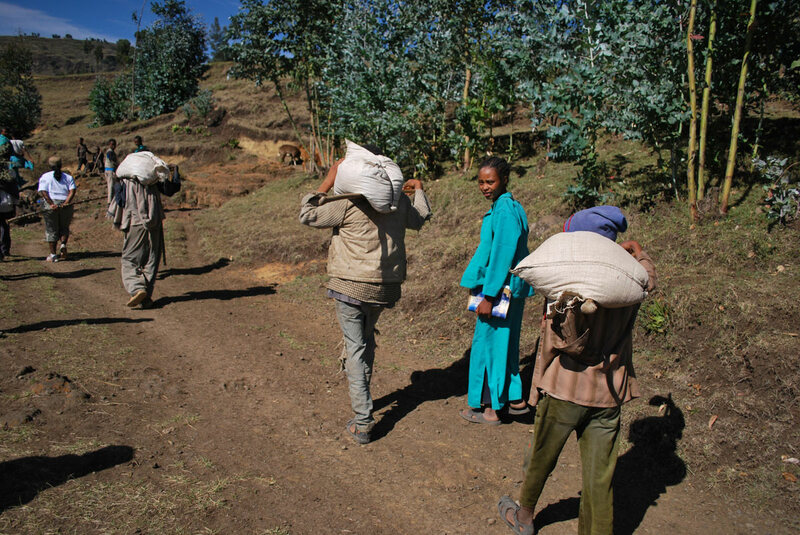 Grain harvest from its lush fields, must be bundled and carried down to the town of Sanka, located at the base of the mountain for grinding/milling. The community does not have running water or electricity services yet for each home, there is a communal clean water tap in one location for residents to share. 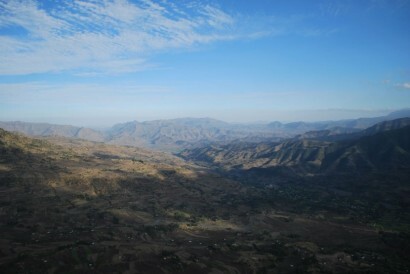 All images courtesy of © Joy Wong, 2011.